I Can Haz Track Car??? Considering oiling upgrades while I'm making my shopping list. Here's what I've found, what is your thoughts on these and what would you consider the most helpful/cost? 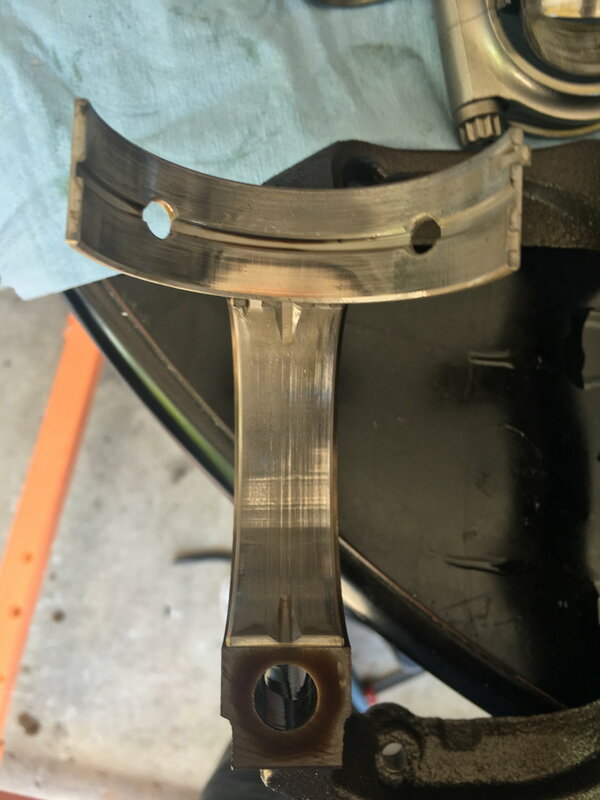 - Aftermarket crank (better oil passage design?) Only throwing this one out there since the crank is damaged and if I decided to grind it it will probably need to be rehardened so it might be worth it to just get an aftermarket crank. Sticking with stock stroke so either Manley or Eagle. I've read that Manley forged cranks have issues cracking but that only seems to be with the 100mm stroke ones. Can't find much on 88mm stroke failures. Bummer! I had the oil starvation 'right hand turn Evo curse too'! Sorry to hear about yours! RS Motors had one fail. Stick with eagle (for forged) or stock. 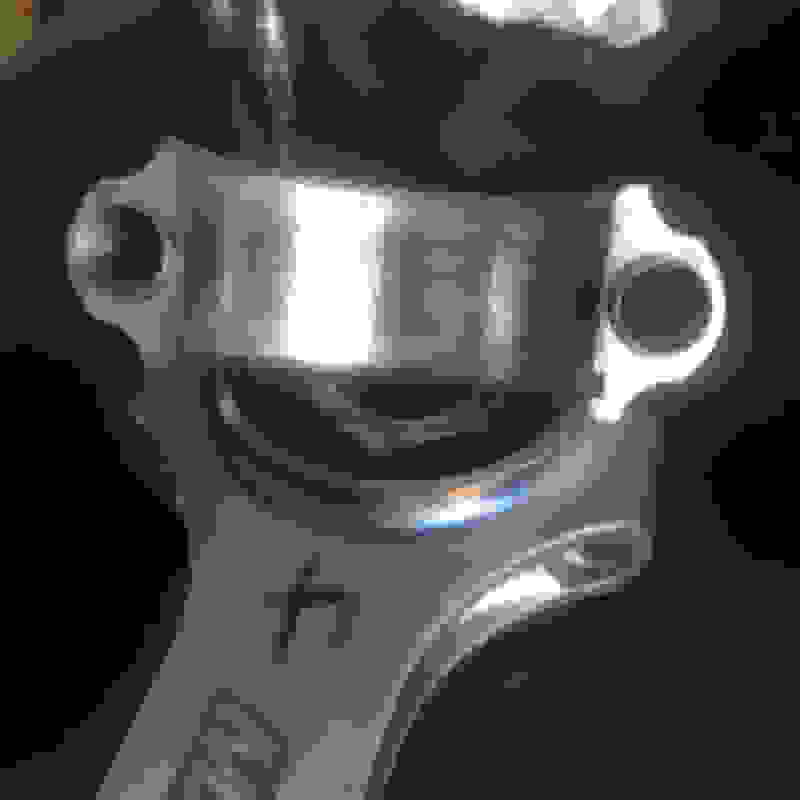 However, the stock crank is fine if you're sticking with stock stroke and can find a good OEM crank. So, the first 3 mods are what will get you the best results. Sounds like I'd be best sticking with stock crank. Probably going to pick up a Kiggly HLA and Tomei crank scraper. If I can fit it into the budget then I'll get the oil pump sprocket too. New front case and oil cooler are on the list as well. I considered the oil pump sprocket too, but it seemed more drag oriented. Hoping its enough myself or may add a accusump later on. Seems like crankwalk could be a possibility or an out of balance crank. I wouldn't think either of those very likely since I never pulled the crank out and it ran for over 100k without issue. agree, Kiggly HLA keeps much more oil in the pan than the OEM. Got the engine out and torn down earlier this week. Crank is at the machine shop. Looks like a .010" cut should clean it up. 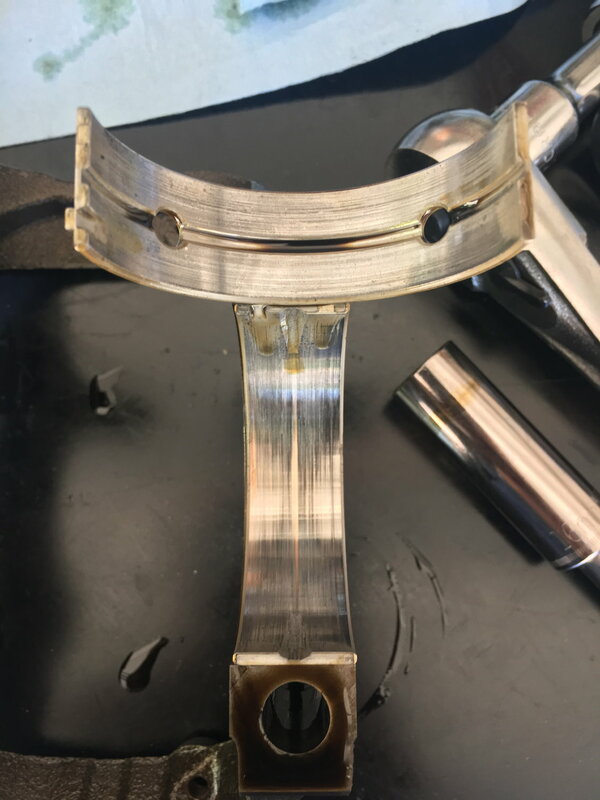 After looking at the main bearings they told the whole story. 4 and 5 are showing some copper and counting back to 1 they progressively look better so starvation is definitely the culprit. Also makes sense since the 4 rod is the one that spun. Should be ordering parts this week. And hopefully getting the crank back this week as well. Already washed out the block, going to pretty it up a tad and rewash it while I'm waiting on parts. And to hopefully avoid this from happening again I've decided to get the Kiggly HLA, Tomei crank scraper, send my pan to BR to get baffled and run a thicker oil. Also got a good deal on an AMS oil cooler so that should hopefully keep temps in check for hotter track days. Eventually I'll get a dry sump but that won't be for at least another year. Damage to rod 4. Decided to just buy a new one. Main 1 vs 5. You can see 1 looks fairly healthy, most of the top layer is still there. 5 has none of the top layer left and copper is showing. Flipped the balance shaft bearings today. Parts are on order. Crank is getting ground either tomorrow or Monday. After it's ground I'll order bearings. Flushed out the oil filter housing, there was a fair bit of debris in it. Going to wash the block one more time as well to be safe. Shooting to have everything back together in the next two weeks if all goes well. Should have kept the Mazdaspeed6. There will most likely be another one day. When I have the space haha.